DIY projects can be fun, especially when they turn out successfully. From building cabinets to painting your bedroom, you can have the satisfaction that you want when you complete a project all by yourself. Not to mention, you have all the bragging rights when you complete something effectively. However, as many projects as you finish successfully, the same can be said about the projects that aren’t as triumphant. One of the projects that we strongly encourage you to hire someone else for is flooring installation. While you may be tempted to install the flooring in your home yourself, hiring flooring installers is the best way to go, especially when you employ 2 Day Flooring for the job. The flooring installers primary goal is to install the flooring option in your home and make it look good. At 2 Day Flooring, our flooring installers are the best because we only hire the best. This means instead of struggling your way through installations in your home and gaining a headache, we’ll complete the installation in half the time and without any pain. If you’re still on the edge on whether or not you should hire flooring installers for your project because you want those bragging rights, check out some of these reasons why it’s beneficial to leave the installation to the experts. We are efficient. It’s plain and simple. When you hire us, you won’t have to wait for weeks and even months for the job to be completed. When we tell you that we’re going to be finished with the installation, we’ll be finished. Unlike doing a DIY project, we are on a schedule and we want to be finished quickly because we know that you want your home back. 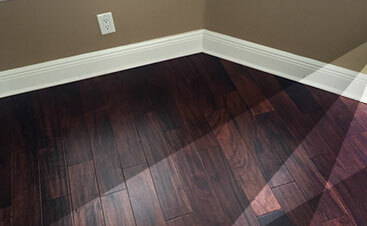 When you hire 2 Day Flooring, we’ll be in and out of your home efficiently without wasting your time or money. If you’re thinking about doing a DIY project based solely on efficiency, then think again. Just image getting down on your hands and knees to install flooring for your first time, do you know how much time that could take you? We’ll give you a hint, it’s a long time. Doing a DIY project for your first time will be an experience because you’re not 100 percent sure what you’re doing. While we encourage you to explore your inner handyman, sometimes trying a DIY project on installing flooring isn’t the best route to take. Installing flooring can be difficult. Everything has to line up perfectly to ensure that the flooring is right. If it’s not done efficiently or perfectly, then you’ll need to start again and again and again. 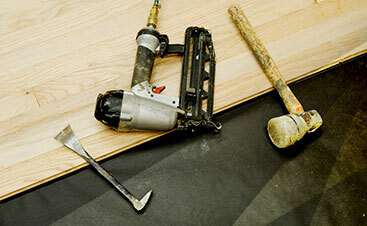 When you hire 2 Day Flooring, we’ll make sure to install the flooring perfectly the first time. You can’t beat efficiency and perfection when it comes to installing your flooring. One of the reasons that a lot of people decide to do DIY projects is because it’s cost-efficient. While it makes sense that you want to save money, it’s vital that you remember how time consuming and money draining it can be if you decide to install the flooring in your home yourself. Let’s play out a scenario for you. You decide you want beautiful Brazilian cherry hardwood flooring in your kitchen. The installation seems easy enough — you watched a Youtube video after all. The beginning of the installation starts smoothly…and then one plank breaks because it wouldn’t smoothly slide into the slot. You wave it off because you had extra anyway, but then the same thing happens again and again…and again. You become frustrated and decide to take a break, which turns into the project not being completed. Instead of enduring the headache, you could’ve just hired 2 Day Flooring and we would’ve saved you time and money. Lastly, and most importantly, we have the experience to finish the project perfectly. 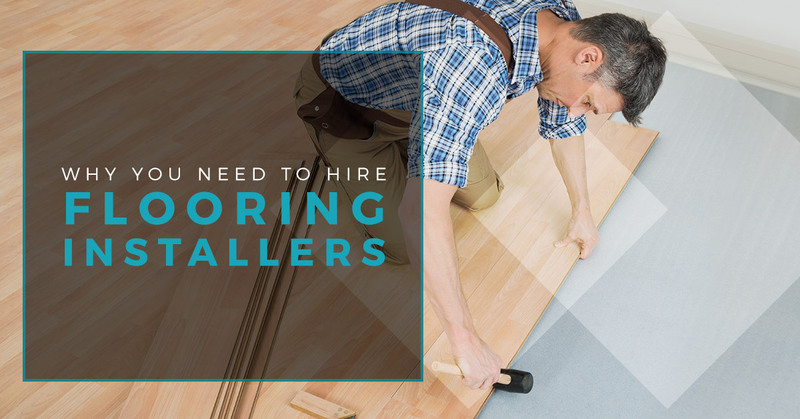 While you may have watched videos, read manuals, and talked to experts about installation, there’s no one who is as experienced in installation as flooring installers. We have been doing floor installations for years and while we know you want to have those bragging rights, sometimes it’s best to leave things up to the professionals. To avoid a headache and have a beautiful home, contact us today to get started.